We eat pretty clean around here but when it comes to yummy treats we kinda forget who we are! LOL JK. We absolutely love our sweets but consume them in moderation (at least the boys & Erick do) . When it comes to whipping up something special for holidays though, we have fun with it and indulge with no regrets. 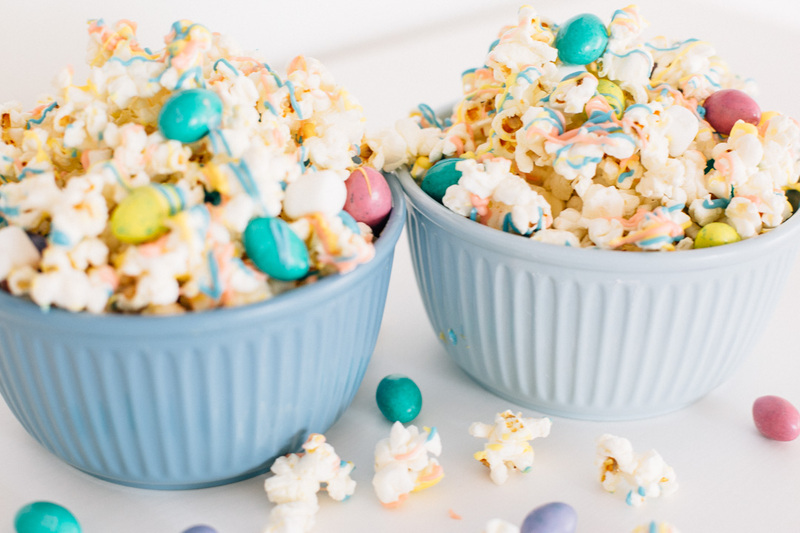 • Pop your kernels – I purposely didn’t add a specific measurement because this is the kind of recipe you can kinda just eyeball depending on how much you want. Do be mindful that popcorn expands so make sure your pot is big enough for the amount you choose to pop. – Anyways, start by adding a bit of oil to your pot. Add your kernels and make sure it’s only kernel deep or else your popcorn will start spilling out before all kernels can pop. • Transfer to a big bowl – Once it’s all popped, transfer your popcorn to a big bowl. You’ll need the extra space to toss around once you add your chocolate drizzle. • Melt your chocolate wafers -While your popcorn is cooling down, start melting your chocolate wafers by following the instructions on the package. I recommend getting these pipping bags. It makes the whole process so much easier and cleaner. 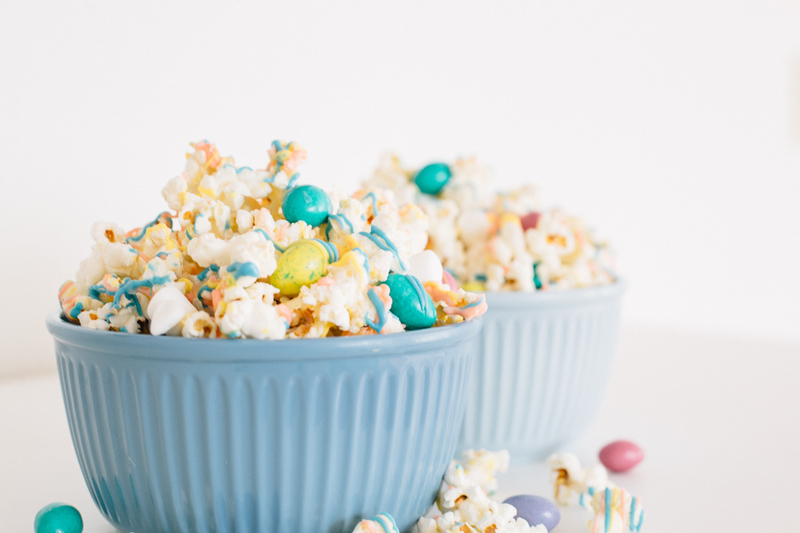 • Drizzle – Using one color at a time start drizzling your popcorn. Once you drizzled all three colors, let it sit in the fridge for 10 minutes then take out and drizzle a second time. This is going to help the first drizzle coat harden to give you those visible drizzle lines. 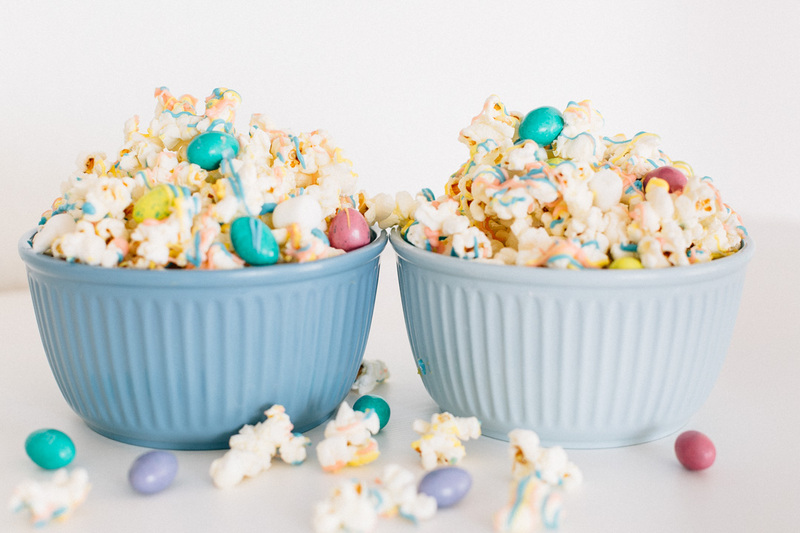 Otherwise you’ll end up with colored popcorn rather than drizzled. Which is totally fine if that’s what you’re going for. 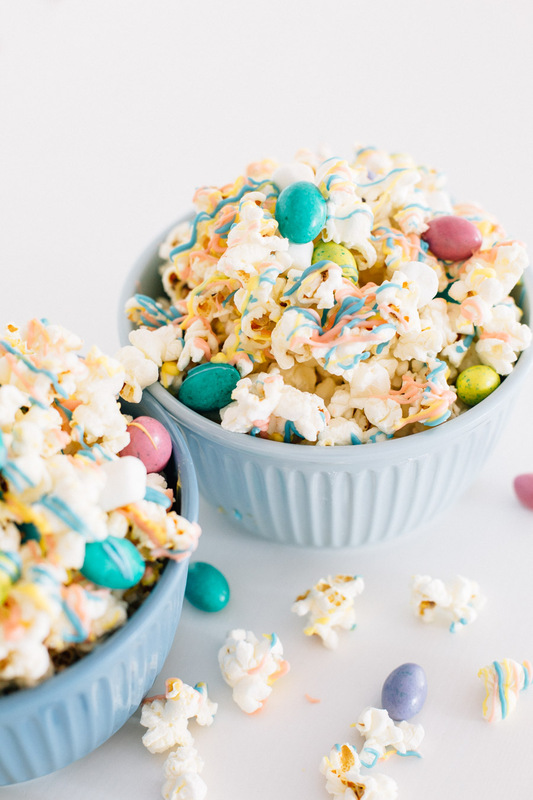 Add Candy Eggs – Once all your drizzle coating is hardened, add your candy eggs and gently start mixing everything together. It’s ok if the popcorn breaks, this is going to create those yummy clusters. Serve and drizzle one more time for extra sweetness. Enjoy! 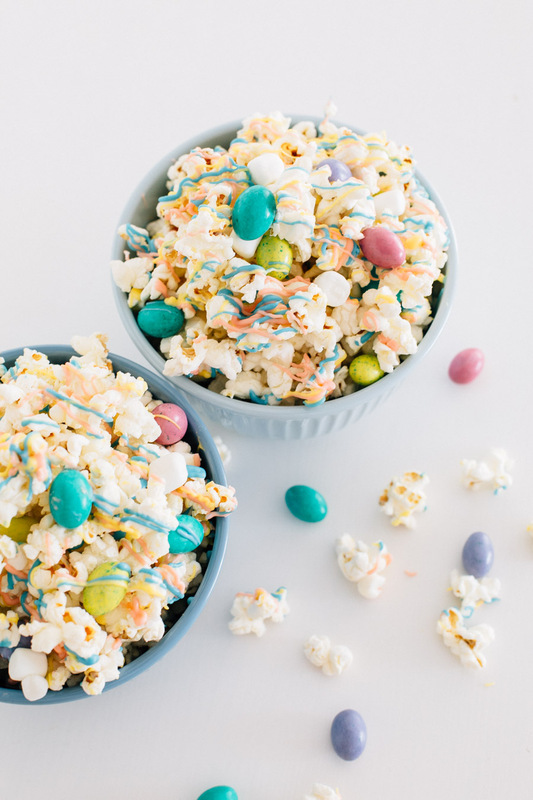 Super cute idea for Easter! I’m going to make some of this and surprise some family and friends with some!